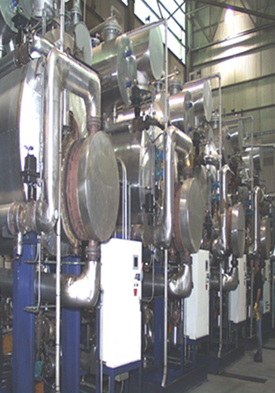 The primary use of distillation is the control of mill lubricants in rolling mill coolant found in various industrial markets such as aluminum, steel, brass, and copper processing. Distillation can be accomplished in either a kidney loop or batch system dump configuration. The CRS Distillation process allows for additional recovery of additives and base coolants beyond the filtration process. Flow requirements, mill lube levels and coolant additives must be considered when designing a distillation system. 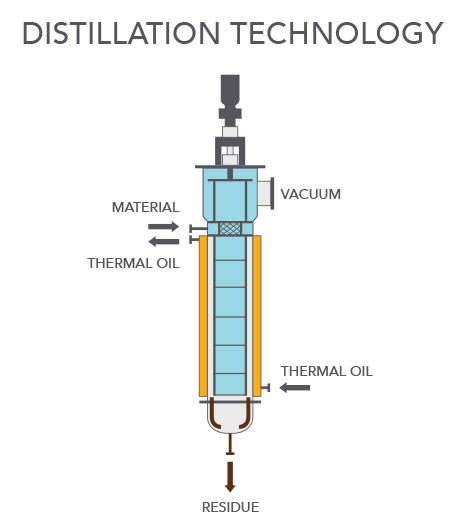 Distillation is also used for recovering glycols from cutting and grinding operations, and recovering spent solvents from various industrial operations. For temperature sensitive products, CRS uses thin film evaporation. 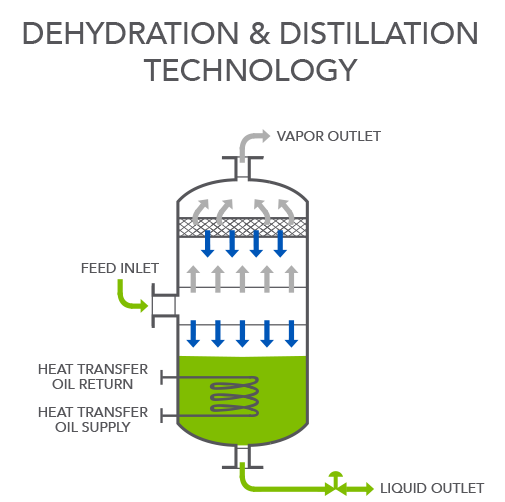 This CRS distillation process uses an internal rotor to distribute feed evenly across the wall of the evaporator. This results in optimum mass and heat transfer. It also minimizes the contact time between the hot surface and the product. CRS has many customized units installed across the globe that have been in operation for more than 20 years. 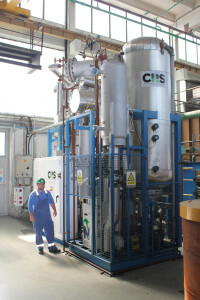 CRS Dehydrator Technology is used to remove water from the process fluid. The additional water in the system is a contaminant and negatively impacts the operation of industrial process equipment. CRS uses Dehydrator Technology in combination with other tools to provide our customer with a custom system. Our Technology is sized to meet your particular water contamination levels and flow rates of your process fluids.